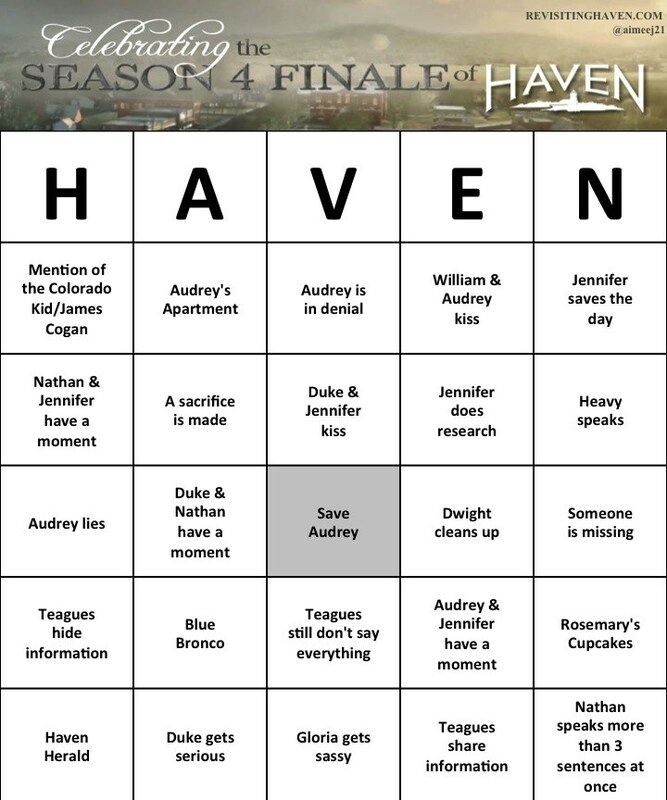 I had so much fun with doing the Bingo cards for the season 4 finale that I decided to do it again for the premiere. 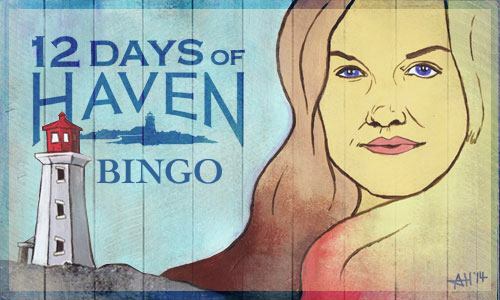 It’s going under the 12 days of Haven because Alyssa Homan did an AMAZING job on that banner and I want to reuse it. 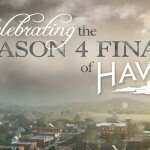 😀 As such, this is a part of #12DaysofHaven. 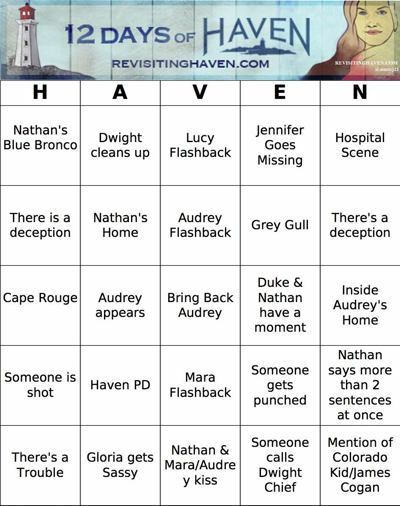 If you’re new to Haven Bingo: In traditional bingo you have a game card and when the announcer draws the ball and reads what it says (N-4) then you check your card to see if you have that. If you do, then you cover that score. First one with 5 in a row (horizontally, vertically, or diagonally) wins. Well this is a modified version. First there is no prize except a hearty Congrats! 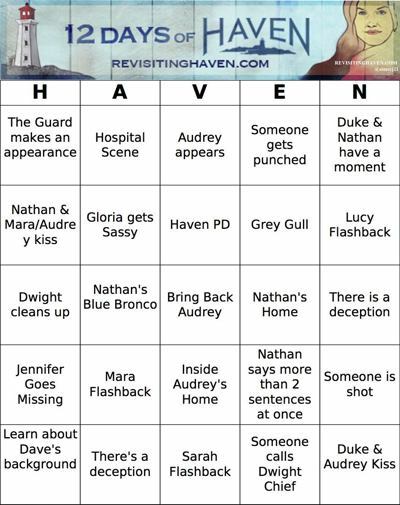 This is just a fun way to pay attention to the season premiere. Secondly, there won’t be hundreds of unique and different cards, here we have 5 different unique cards. Third, instead of an announcer reading out combinations, you have to pay attention to the show. 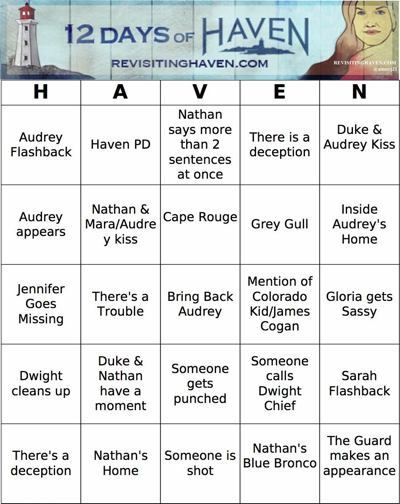 Here is how it works if Nathan & Audrey kiss and you have that square on your card, then cover that square. If Duke’s jeep is in a scene and it is on your card, you cover the square. Make sense? 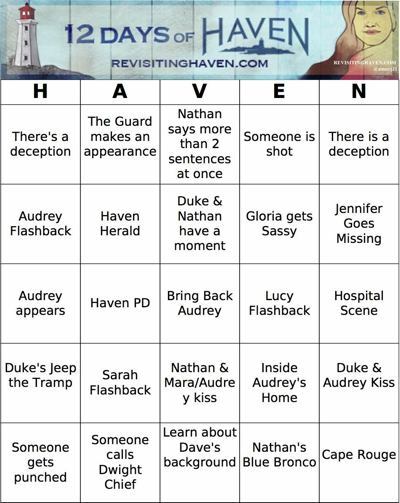 Of course the “Bring Back Audrey” square is a free square you can cover. Please share/reblog/retweet. The more the merrier. 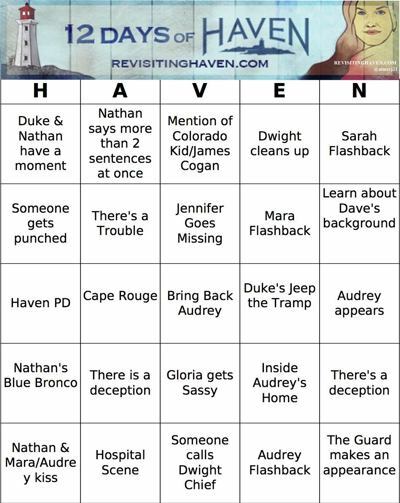 Pick a Bingo Card from Below and have fun!